It is time to rejoice as there is good news for Search Engine Optimization (SEO) practitioners and digital marketing folks. 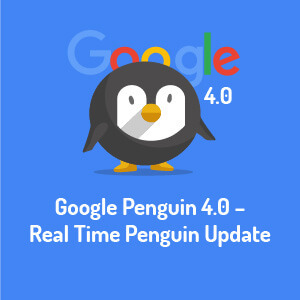 After a wait of 2 years, Penguin 4.0 update was released. 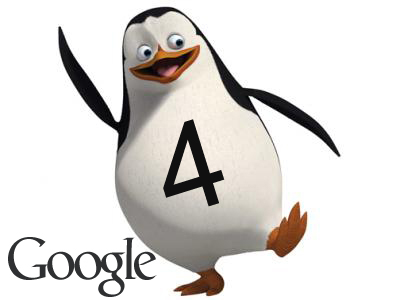 Google has confirmed that its Penguin update is rolling out in all languages. It is a great step forward for businesses and agencies alike, though not a happy news for black-hats. Penguin is a part of their core ranking algorithm. Penguin is a filter designed to capture sites that are spamming Google’s search results in ways that Google’s regular spamming systems might not detect. Introduced in 2012, it has operated on a periodic basis. It had a drastic impact when it was launched. It was specifically introduced in the market to catch the ones who used link schemes to manipulate search rankings. It has the ability to hunt down inorganic links; the ones bought or placed solely for the sake of improving search rankings. A majority of business will see rise in the rankings. The hard work will pay off with regular updates. It was an algorithm change to Google’s search results whose aim was and will be to lower the rankings of usually spammy websites which violate the search giant’s webmaster guidelines. It’s expected to be a real-time upgrade and will update continuously, which means sites with spam campaigns will be affected much more rapidly than in the past. As opposed to SEOs and webmasters, Penguin 4.0 is very fast. It will continuously update and unlike in the past where Google used to take months or years to update it. This update will enable Google to detect spam links and sites after removing them, thus hoping for a more immediate recovery. Google use to review links only periodically — as infrequent as every few years. Now, with this latest Penguin update, there will generally be no wait between updates. If you can get spam links removed, Google will presumably recognize and adjust in a short period. With this improvisation, Penguin’s data is refreshed in real time, so changes will be visible much faster, typically taking effect shortly after we recrawl and reindex a page. Penguin, SEO algorithm update is now more granular. This Google SEO update now devalues spam by adjusting ranking based on spam signals, rather than affecting ranking of the whole site. Our best interpretation of this statement is that Penguin might impact specific pages on a site, or it might impact sections or wide swaths of a site, while other pages are fine. You might expect this upgradation as something of an end of an era, as a real-time update would signal the end of Google’s announcements for Penguin upgrades. Rather than making room for a major upgrade, small updates will be rolled out constantly to keep the algorithm fresh. Now one thing bothering your mind is that how you can save website from such SEO updates and here is contact of Savit Interactive where you will get the best solutions and Google penalty-free seo service.